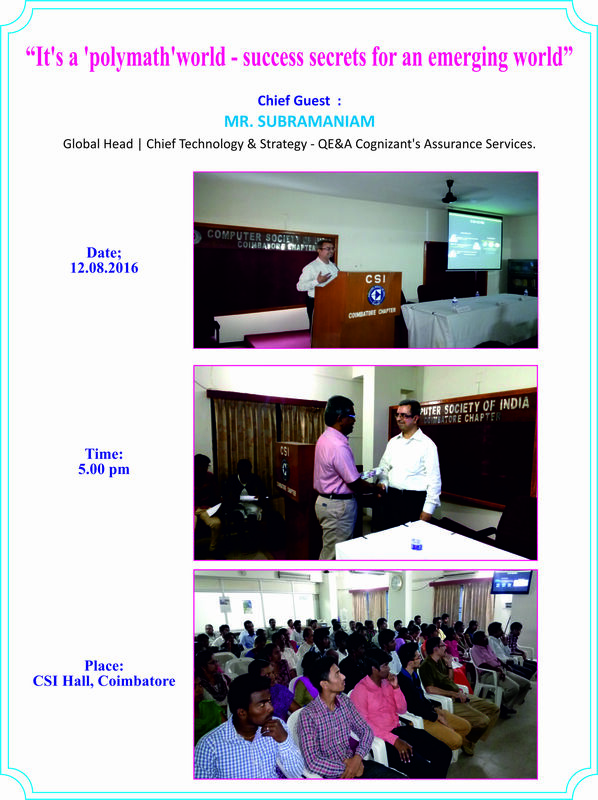 51st Annual Convention of CSI - 23, 24 and 25th January 2017 at Le Meridian Hotel, Coimbatore. 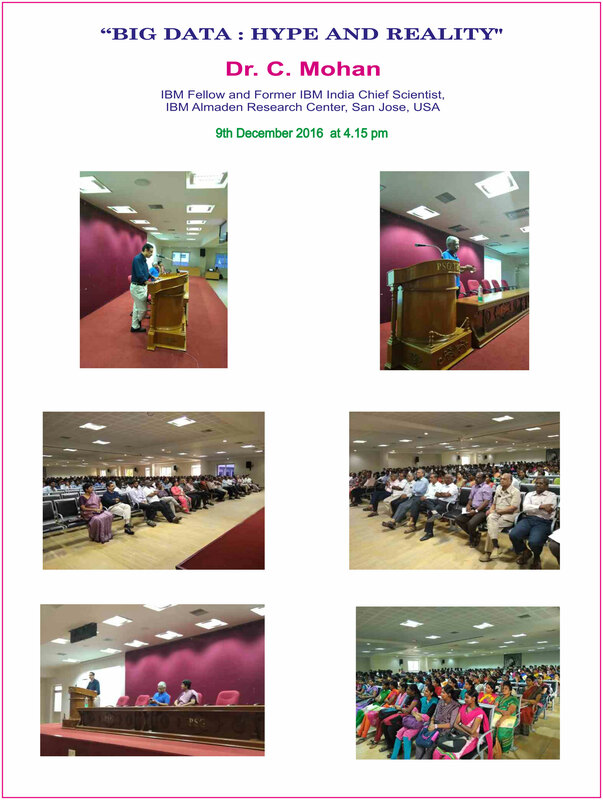 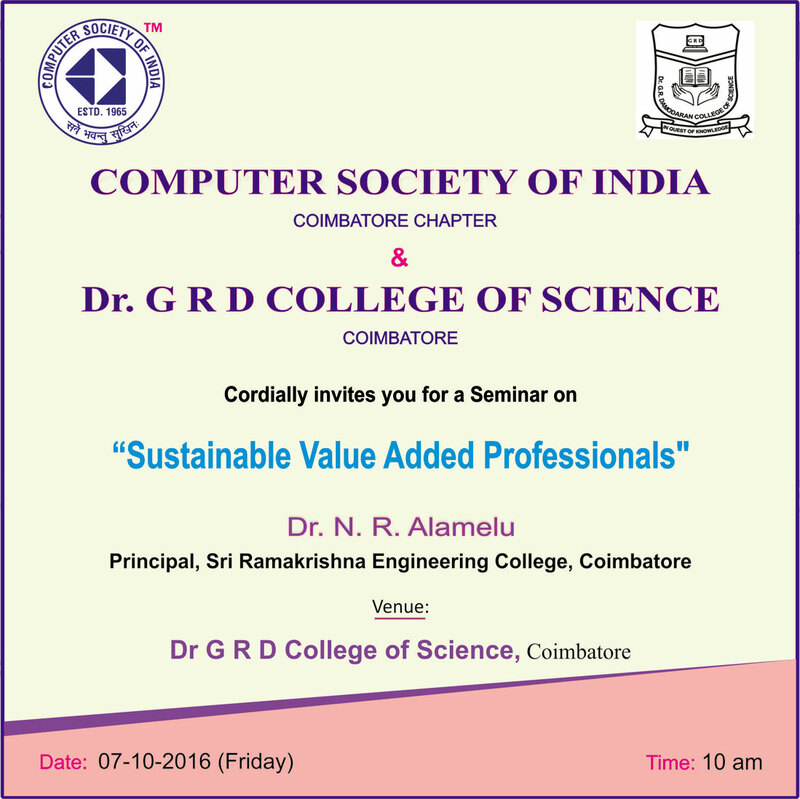 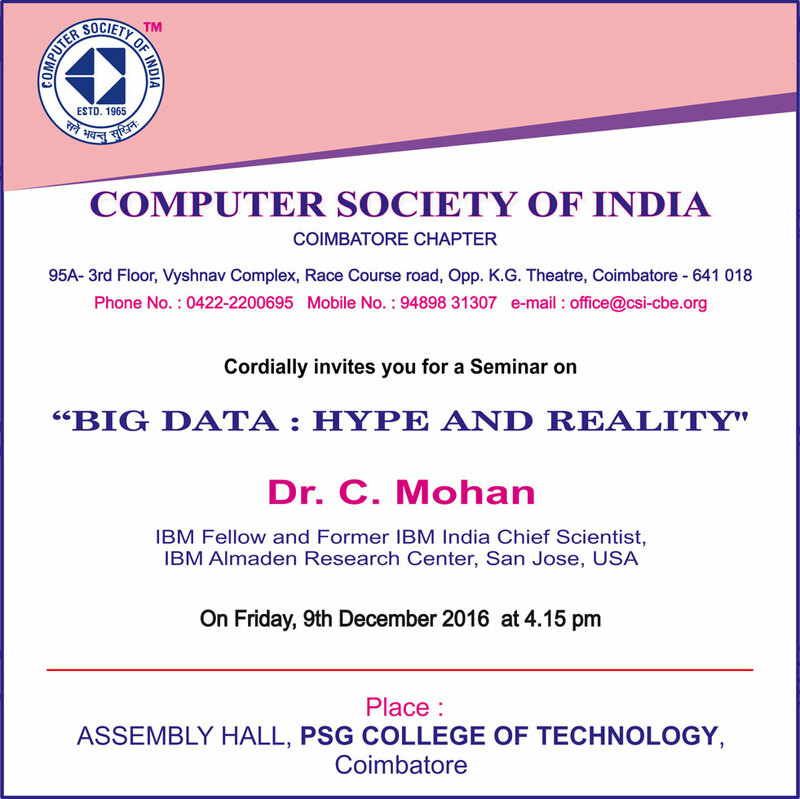 IBM Almaden Research Center, San Jose, USA 9th December 2016, Assembly Hall, PSG College of Technology at 4.15 P.M.
Sri Ramakrishna Engineering College Dr G R D College of Science, 7th October 2016 at 10 a.m.
Nehru College of Management and SBC of CSI Coimbatore Chapter. 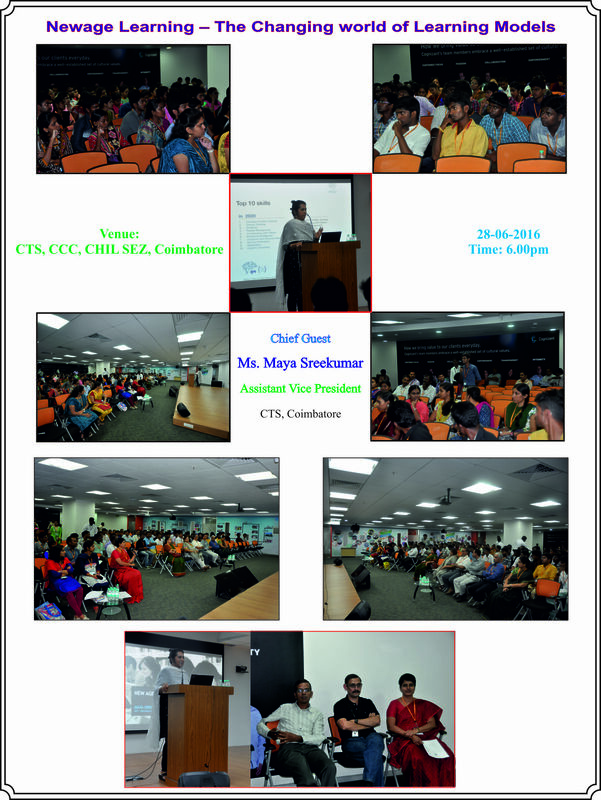 Aditya Institute of Technology at 11.30 a.m.
Head of Academy India - Cognizant Technology Solutions Cognizant Technology Solutions, CCC, CHIL SEZ, Keeranatham Village, Saravanampatti, Coimbatore at 5.30 p.m.